America has benefited enormously from the salad bowl mix of people from all over the globe that call these United States home. It’s what shapes everything from our music to our traditions to our cuisine. Few parts of the world have had a greater effect on America’s food tapestry than the Asian Pacific. We’ve got Chinese, Japanese, Vietnamese, Thai, and yes Korean restaurants, among others. Lots of times we Americanize foreign foods but when it comes to Asian food, the closer you get it to authentic the better it is. It’s a thing we compete about on the coasts – who has the best Chinese or Italian. Then it becomes part of our American diet. That’s when we start trying to make these dishes at home. The problem is, it’s not just the food that’s different – it’s the ingredients too. Generally speaking, you can’t substitute white flour for Korean wheat flour and expect to make a mean Korean-style vegetable pancake. You have to use a specific type of flour that is typically only authentically made in Korea – South Korea that is. If you’ve never heard of it before, here’s everything you need to know. 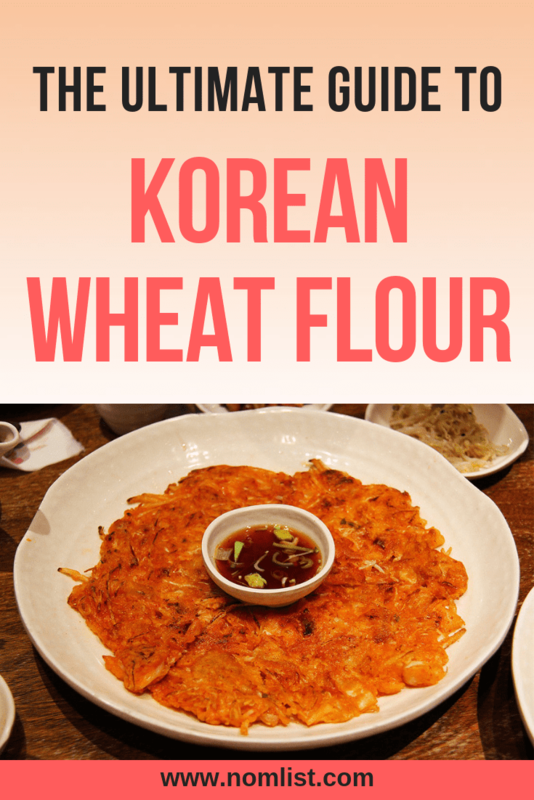 What’s the Difference between Korean Wheat Flour and Other Flours? Most people don’t spend too much time thinking deeply about the different types of flours there are. Among white flours alone there are a number of distinctions, but who among us doesn’t just look for all-purpose white and call it a day most days? Well, to understand the difference between Korean wheat flour and other types of flour, it’s important to know what distinguishes one type from another. First off, where you live kind of determines the type of flour you are used to. For example, wheat produced in the U.S. is different in the north than in the south. In the north, the wheat is harder and thicker with protein. In the south, the wheat is soft and lighter on protein. All-Purpose Flour: It’s all purpose because it is hard and soft, a.k.a. medium (11% protein). You can bake a lot of different things with it from pies to cakes to muffins. Cake Flour: Bakers know cake flour is different from regular white flour. It has less protein (8%) and is bleached; as the name suggests, it’s used specifically to make cake. Pastry Flour: When you want to bake a pie, in order to get that flaky light pie crust, you need something with a little more protein (9% about) – a medium flour. It’s also used for breading and frying foods. Bread Flour: The densest of all of the flours, it is rich in protein at 13%. All of that yeast and gluten produces that puffy, chewy, center that we all love in dinner rolls and fresh baked bread. Whole Wheat Flour: Baking with whole wheat flour takes special skills. You can’t get denser than this protein and nutrient packed flour. When it comes to Korean wheat flour, there isn’t really a range of flours. Authentic Korean wheat flour is hard. Because of that it is not good at all for baking cakes and pies. Likewise, you can’t use all-purpose, cake, or pastry flour to make Korean pancakes. If you want to replicate real Korean food, it starts with using real Korean wheat flour – period! 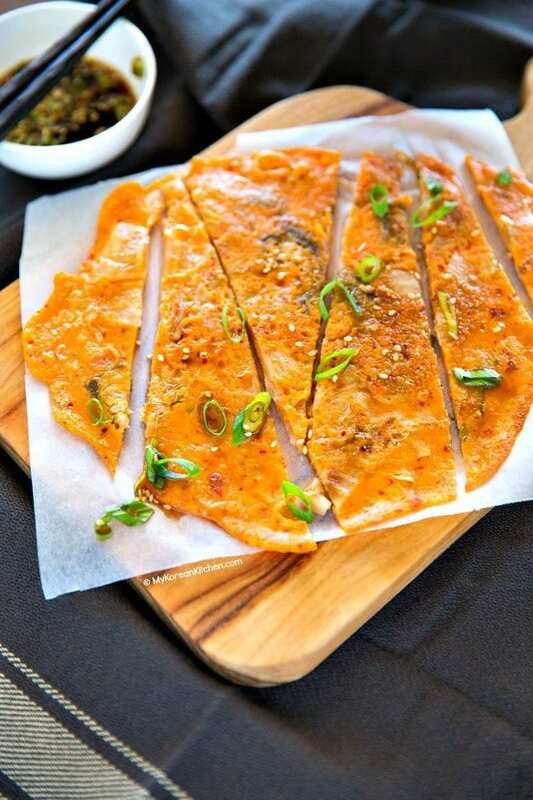 Korean-Style Vegetable Pancakes – This recipe mixes in some non-traditional veggies like zucchini and sweet potato to create a fantastic appetizer. Don’t like zucchini and sweet potatoes? You can sub in whatever veggies you like with this recipe! Korean-Style Seafood and Scallion Pancakes – Chances are you’re going to bump into a vendor or two selling these yummy treats as you’re walking down the streets of South Korea. 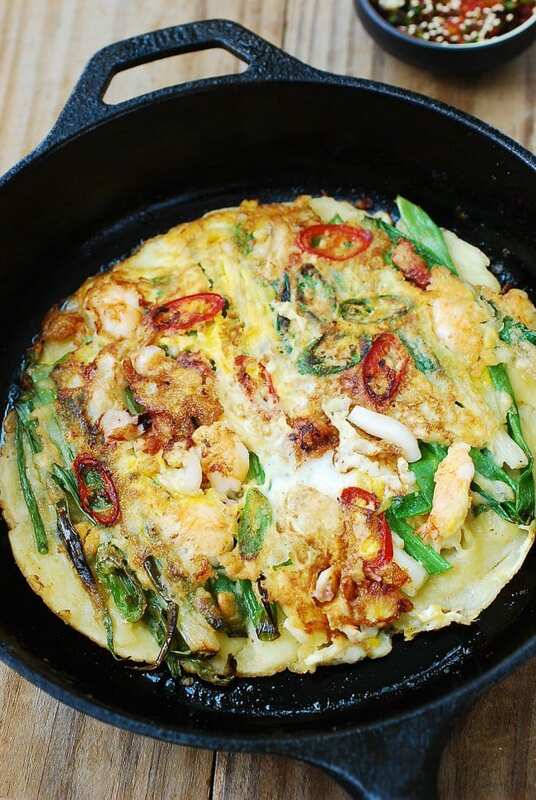 Try this recipe which combines a mixture of bite-sized clam, oyster, shrimp, squid, and mussels to make a super hearty Korean-style pancake. 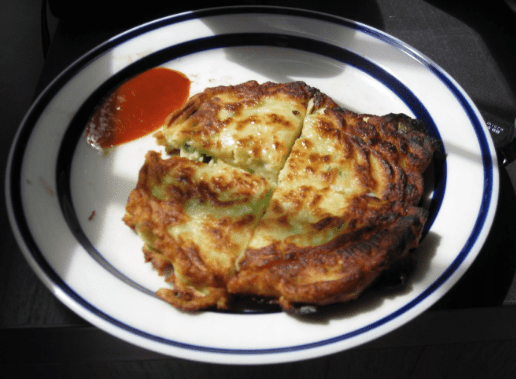 Korean-Style Kimchi Pancakes – No seafood in these darlings. Kimchi pancakes are hugely popular and don’t call for tons of seafood meat to make – just a bunch of red and green chilies, and of course, plenty of kimchi! You’ll notice that in some of these recipes, all-purpose flour is substituted for Korean wheat flour. It may get you close but you won’t win the cigar if you skimp on the flour. The good news is you don’t have to skimp. You can buy over five pounds of real authentic All-Purpose Korean Wheat Flour below. Some Korean-style pancake recipes call for using a Korean pancake mix instead of you creating the batter from scratch. You can buy some of that stuff too right now. The Sweet Korean Pancake Mix from Hotteok is a great pick! In a pinch you can throw a few ingredients together to try to replicate a Korean pancake mix. Most homes in Korea keep some pancake mix on hand for dinner, for snacks, and for parties. A favorite among these types of snacks is the Pajeon. Next articleThe Top 6 Best Long Slot Toasters for all your Artisan Bread needs!